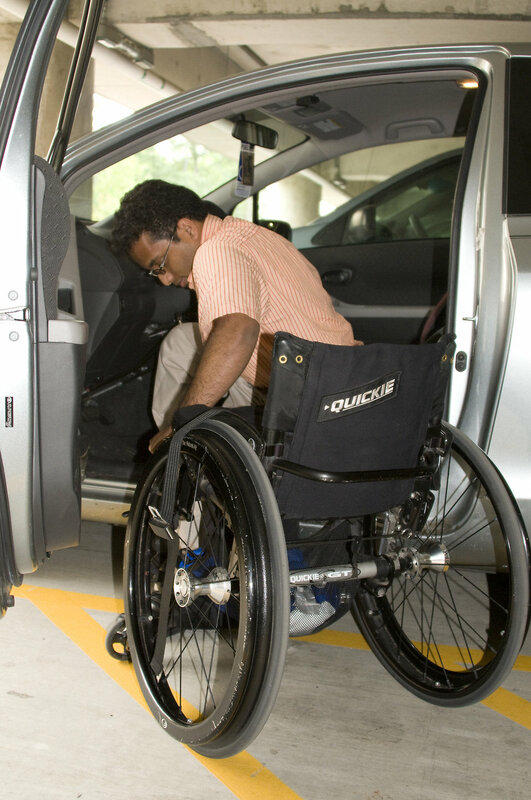 Description: The man pictured here had parked his automobile, and had assembled his collapsible wheelchair, which he'd placed outside the vehicle. At this point in the transfer process, he was maneuvering his body so as to properly align it with the wheelchair's seat. He had secured the braking system, preventing the chair from moving during the transfer of his body weight. Note that this car was equipped with a steering wheel-located manual braking and acceleration knob.